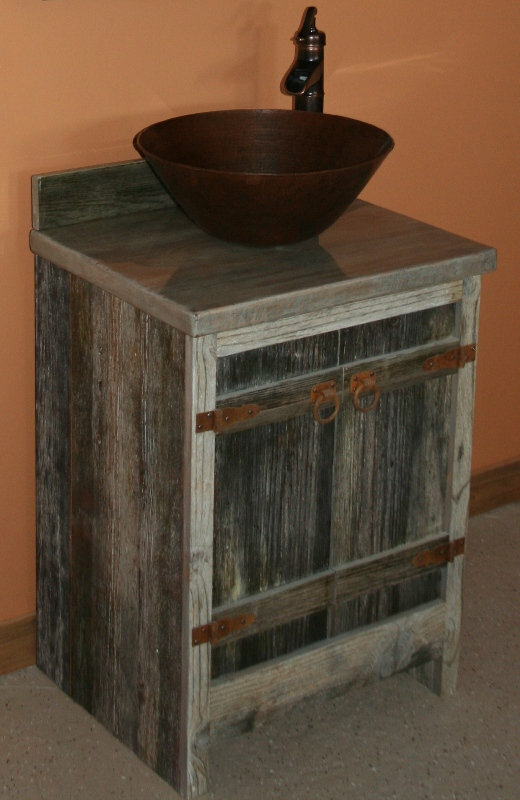 Weathered Gray Vessel Vanity made from gray weathered barnwood. Price is for a 24" vanity base only which is the vanity that is pictured. Larger sizes are available - please contact us and we will give you a custom quote. Vanity tops are optional and are extra. 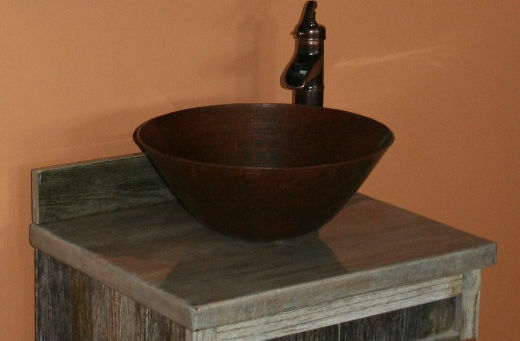 The Sink and Faucet are available through our store, but are not included in the price of the vanity.